Website & SEO, brochure & print advertising, press kits, video scripts, press releases, sales letters and ads. No matter what you’re after, you’ll get the elegant results you need. Copy with your aesthetic in mind. Web, print or branding, we’ll advise you on a design strategy that appeals to your target customer and makes your call to action clear. Your story is your brand and how the world sees, hears and feels your business shapes the difference between people knowing your brand and LOVING it. We’re able to write about your products with conviction, passion, and genuine humanity, providing a sense of professionalism and credibility, which carries over to your product or service. We care about your product as much as you do. And we care as much about the relationships we build with our clients as the bottom line, creating win-win situations for all. Our words are world class and so are our services. We’ve worked for the movers and the shakers in PR, print advertising, video, web development and more so we’re ready to tackle whatever you send our way. SPECIALTIES: advertising campaigns, copywriting, editing, publishing, strategic marketing and communications, press kits, press releases, talking points & speech writing, presentations, television writing, video, website content, social media marketing, media kits, annual reports & company histories, product, program & service descriptions, sales pages & material, training manuals, etc. Are you a Korean company? We’re your one stop answer to dealing with the western world in marketing, branding, web sites, public relations and sales communications. Are you a western company who needs to gain a foothold in Korea? We’ve got your back! For editing, publishing, press releases, copywriting or creative projects in print advertising, commercial film, PR, speech writing, banners, web content, naming, sales letters, etc. 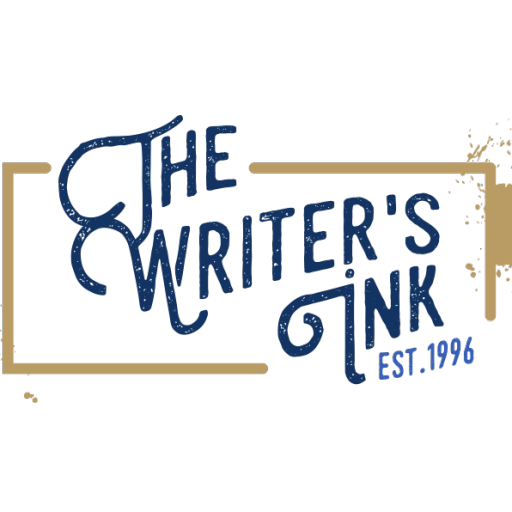 The Writer’s INK is an idea studio based in the Twin Cities. INK is the medium all creatives work in. INK is how ideas move skyward from first thoughts to marketable measures. INK empowers your brand’s ambitions and guides your goals. From the liquid flow of ink-stained ideas to the inky darkness of digital, THE WRITER’S INK will help you shoot for the moon. We’re always looking for the next great project. Wanna work with us? Get in touch! I am writer. Read me Roar! A full-time professional writer since 1996, I’ve written for clients all around the world from global brands to banks and government organizations as well as small businesses and startups. Big and small. More than 100 in all. My strengths are in getting up to speed on new technologies and industries quickly, helping corporations find their voice and empowering their brand and products through business driven copy with creative flair. I love the challenge of a new product or industry. Keeps me on my toes! Recently returned to the US after 20 years in Seoul, so if you need something localized or some consulting on the cross-cultural divide, I’ve got your back! Are you a trusting soul? Clear. Concise. Compelling. If you’re ready to invest in great copywriting, we are the obvious choice! Call Peter in Minneapolis MN at +1 (612) 392-2805 or send me a message. A brief description of your company’s field and client base. Your estimated budget and deadline.